Located just 2 miles from Missouri Fair Grounds. Business Center, 100% NON Smoking, Business Center, NO Pets Allowed. 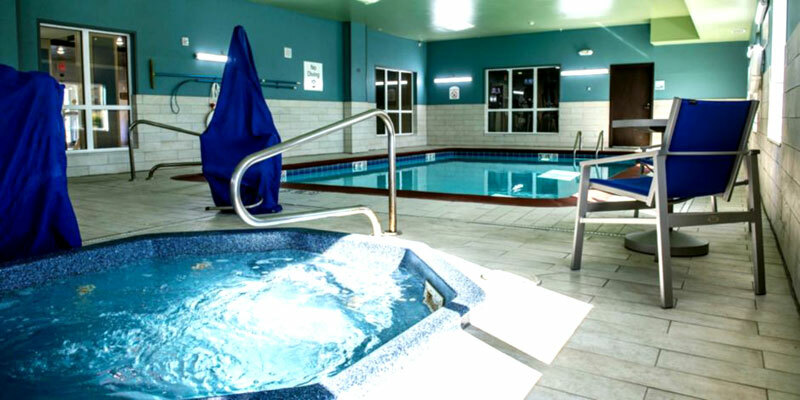 Take a refreshing dip year round in our Indoor Pool. Full Service Restaurant and Bar located at the hotel. FSuites available, Fridge, Microwave, Coffee Maker, Hair Dryer with some rooms with Sofa Beds. Activities : Whether you are planning a trip to the Missouri State Fair or just a ride through town on the beautiful Katy Trail, Sedalia welcomes you with a midwestern hospitality that brings visitors back year after year. Attractions : Each year, Sedalia welcomes visitors from across the state and around the world to our community. From events including the Scott Joplin Ragtime festival and the Missouri State Fair, visitors find Sedalia to be a friendly, welcoming place to spend time. Historic downtown is filled with shops and restaurants that you will surely enjoy as you explore the rail and ragtime history of Sedalia. 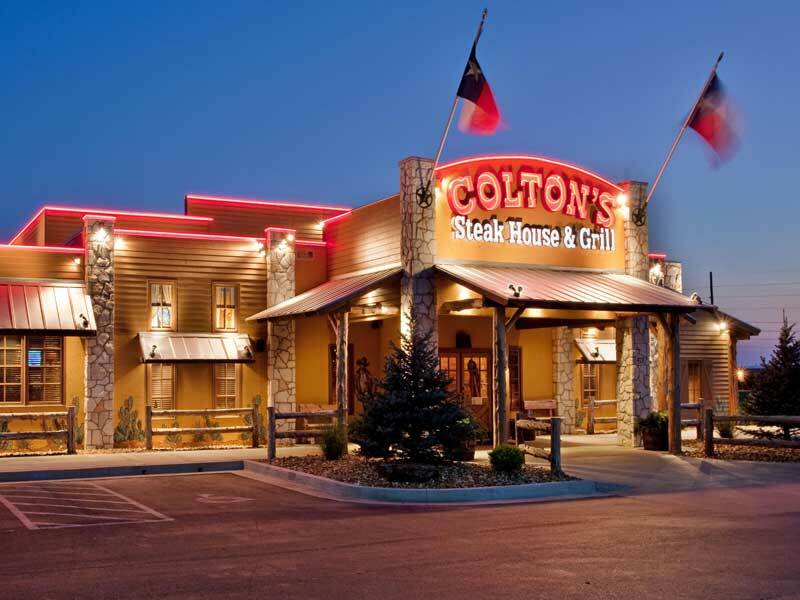 Dining : Whether you are looking for fast food, a buffet with a host of options, or a home-style restaurant experience for yourself or an entire team, Sedalia has many options to suit your dining needs. Hospitals : Providing high-quality, cost-effective and compassionate health care has always been the priority of the staff at Bothwell Regional Health Center. Bothwell, a 145-bed hospital in Sedalia, has served west-central Missouri since 1930. With a staff of more than 800 employees and 100 physicians, we provide a full range of diagnostic, medical and surgical services. These services include cancer care, emergency services, orthopedics, cardiovascular care, neurodiagnostics, obstetrics and gynecology, pediatrics, outpatient services, diagnostic imaging, medical equipment and community outreach and education. Shopping : Historic downtown is filled with shops and restaurants that you will surely enjoy as you explore the rail and ragtime history of Sedalia. Welcome to our great hotel in Sedalia Missouri with affordable rates and cheap budget discount lodging. 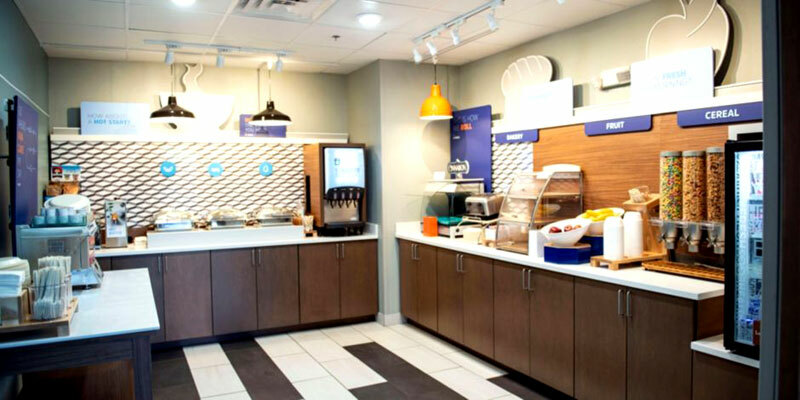 Holiday Inn Express & Suites welcomes you to our budget hotel in Sedalia Missouri. 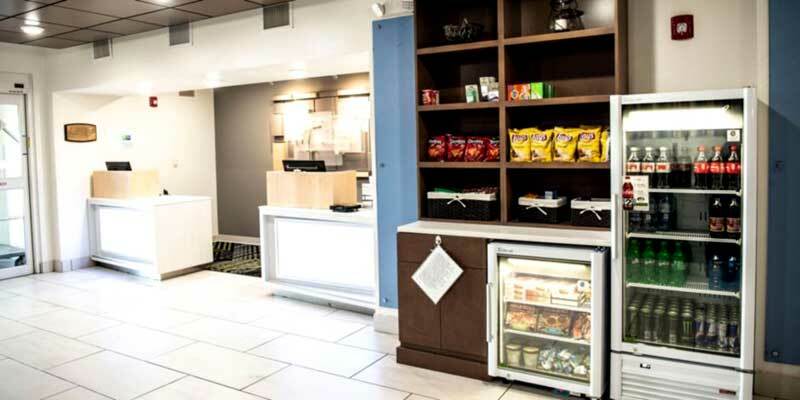 Holiday Inn Express & Suites will provide you excellent customer service with great amenities in comparison to all Hotels and Motels in Sedalia Missouri. Please visit us on your next stay in Sedalia Missouri and let us provide you with 4 star hispoitality for 2 to 3 star budget rates. Holiday Inn Express & Suites has been providing lodging and accommodations in Sedalia Missouri for sevral years and looks forward to providing our valued customer and business traveler with the best service in Sedalia Missouri for Hotelsand Motels in our local area.